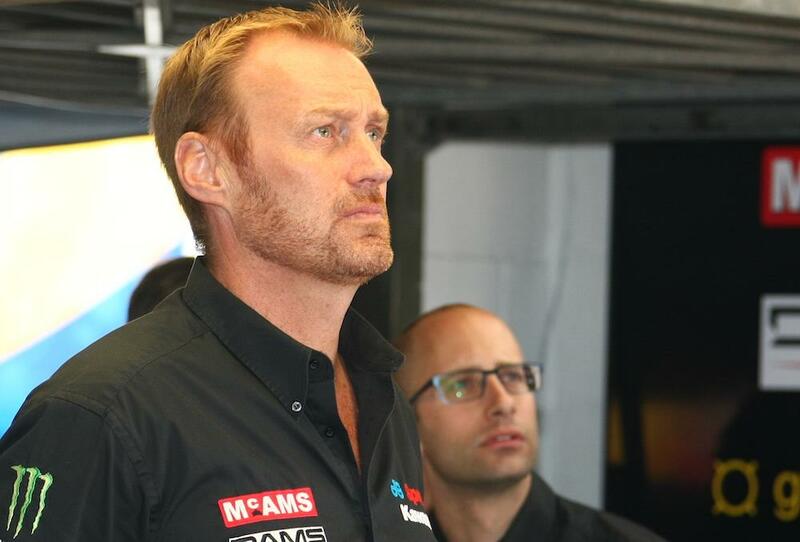 JG Speedfit Kawasaki boss Mark Smith-Halvorsen has spoken out about what he believes to be an ‘unfair advantage’ held by the Be Wiser Ducati team after Shane Byrne stormed to an emphatic double victory at Brands Hatch. Smith-Halvorsen claims the direct factory involvement Ducati have in the PBM project gives Byrne such an advantage that others cannot compete. He goes on to say that, in his opinion, this advantage goes against the British Superbike’s mantra of an even playing field. “I do not know how we are expected to compete against the Ducati, which has shown a clear performance advantage over the last two or three rounds,” he said, speaking to MCN. “They have been allowed to buy a full factory World Superbike from Ducati and are essentially racing out of Bologna. “They are getting factory upgrades from Italy and full support from the factory including personnel. Ernesto Marinelli (Ducati SBK project director) was at Knockhill and Shakey’s crew chief (Giovanni Crupi) is significantly positioned inside Ducati’s development team and that’s what we’re racing against. For more on this story, including reaction from BSB boss Stuart Higgs and the PBM team, see today’s MCN.